Oracle Beaters are designed by Lee McDonald who has been working in the paper field since 1967. His goal was to design an easy to use beater that was portable and affordable for all people to use. The Oracles capacity is 1 to 1.5lb of fiber or pulp. These beaters are capable of handling any papermaking fiber or raw stock. They will easily process rag, flax and gathered fiber. Whether you want traditional sheet-forming pulp or 12-hour beaten flax, this machine will meet your needs. The Oracles have found acceptance in studios and schools where there are space and budget constraints. You can store it in a 40” x 24” x 24” (101.6 cm x 60.96 cm x 60.96 cm) space, pull it out when you need it, and transport it to different sites as necessary. Our tub is available in three possible colors: red, blue and yellow. This model is the perfect beater for any educational institutions from high schools to universities. It is versatile and has enough capacity to make large batches of pulp quickly for classroom use. It comes with a cart with locking wheels; the cart is especially well suited in schools without a dedicated wet-room as it is both transportable and designed to help control water. It also comes with a secondary safety switch located on the back guard, so that the machine will only operates while the guard is properly placed—keeping fingers away from the roll. 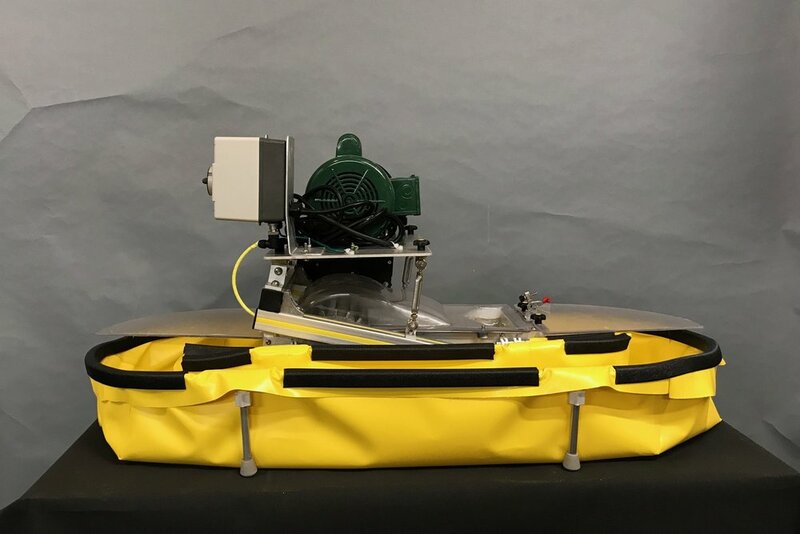 This model is designed to break apart into 3 sections: the core, the motor mounted plate and the guard, allowing lighter more transportable parts. Removing the motor plate reduces the core’s weight by 20 lbs.